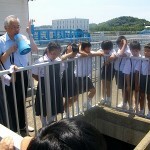 On June 30 the grade 4-A and 4-B class took a field trip to the Ootera Water Purification Plant. 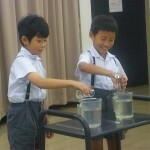 This is the second field trip of the school year and more are planned for the second term. On our first trip we visited the Garbage treatment facility. prior to and following the trip students in the International Course learned about how garbage is handled and following the trip made work sheets and worked on presentations. 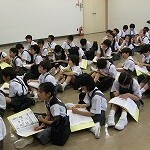 The on site field trip instruction is always in Japanese but all pre and post study in the class is in English. On this trip students learned where the water for our region comes from, the importance of dams, how water is treated and most importantly that water is a precious resource that we must take care in using. 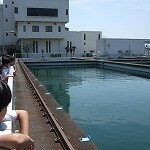 Students received guidance in the facility and as weather was fine today they were also able to take a tour of the settling tanks. Students enjoyed the trip and learned a lot about their environment. 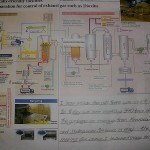 As with the previous trip, students will be writing reports in English.